We found 0 results for memory care in Hartford, Kansas. We have also included 3 results in surrounding areas. 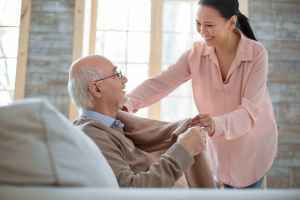 The costs per day for memory care in Kansas range from $82 up to $337, with an average expense running about $180. The per month expense averages around $5,408 and ranges between $2,465 and $10,113. Annually, the average cost is about $64,902, which is above the national average of $60,900. Located within Lyon County, Hartford is a municipality in the State of Kansas. The surrounding area has 689,363 inhabitants, but there are only 816 living inside the city itself. The 55-and-over community represents 30% of the total population. Hartford has an average SeniorScore™ of 69. The city's average household income is $41,000 ($23,000 per capita), vs an average of $48,000 for the whole of Kansas. The average home price in Hartford is $108,000, which is relatively less than the state average of $127,500. Hartford has a low unemployment rate of approximately 3.71%. Hartford has mild mean temperatures, with medium winters and warm summers. The city gets low levels of precipitation annually. Compared to similarly-sized cities, Hartford has moderate air quality. To see information on the SeniorScore™ for Hartford, KS, please visit senioradvice.com/seniorscore/senior-living-in-hartford-ks.